We apply the long view to our planet, business, and government. But how often do we think about foresight for ourselves? What about our personal futures? We repeatedly take our past and project it into the future, as this is the only way we know how to imagine our one assumed future. What if collectively we could learn to explore and think more critically about our alternative futures? A society where all futures are represented creates an exponentially more interesting, diverse, and strengthened humankind. Applying the foresight mindset is not a matter of intelligence or desire; it’s an access issue. 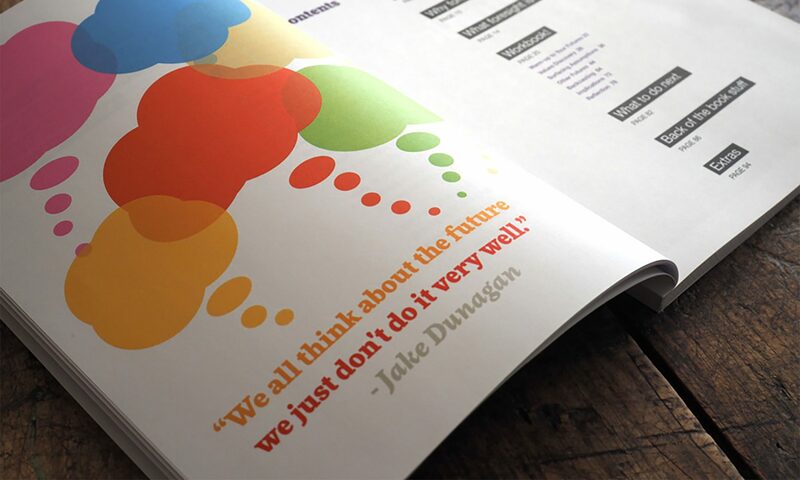 What the Foresight is a first of its kind workbook, and aims to give more people access to their futures.